What If You Could Only Reach ONE Goal This Year? I once heard a speaker recommend setting 24 goals per year. I don’t know about you, but that sounds exhausting to me. How could you sustain forward movement in so many directions? If everything seems like a priority, in reality nothing is. If you could only achieve one, which would you choose? When you envision yourself at the end of the year reflecting back, which one do you definitely want to be able to say, “Yes! I accomplished that!”? You can certainly set more than one goal (though I do not recommend 24! ), but first decide with conviction which one truly matters most. You can then do a similar exercise to prioritize others, too. 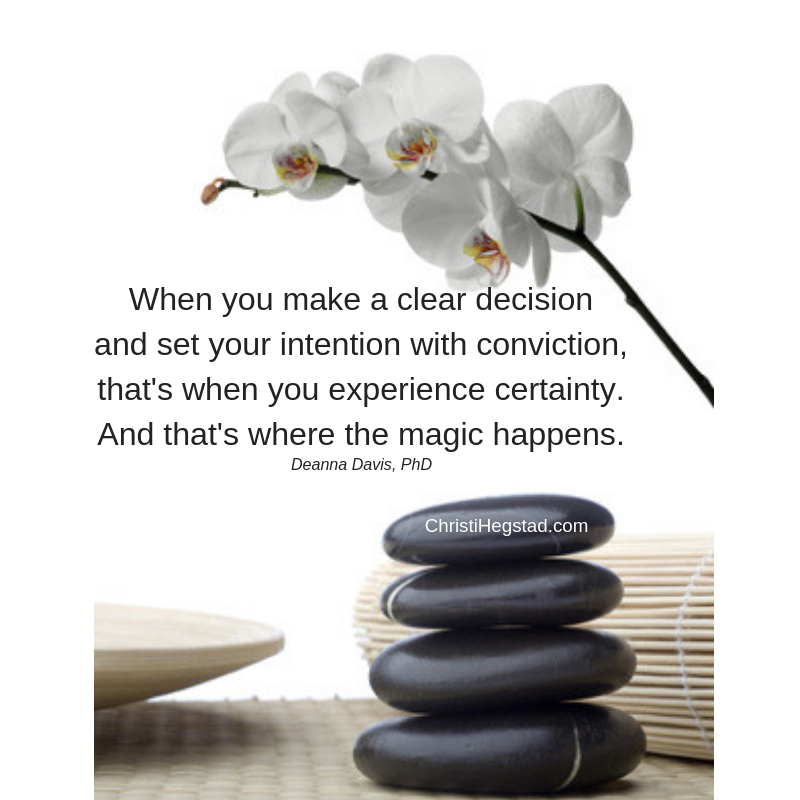 You may find this clarity and focus ‘magically’ prompts your energy and enthusiasm to reappear! Join us for DESIGNING YOUR YEAR OF MEANINGFUL ACHIEVEMENT: The 2019 Bold Goals / Powerful Intentions Workshop! coming up on February 1! Details will go out to our email community this week!